Colorado Springs Identity Theft Defense Lawyers | Anaya McKedy P.C. At Anaya, McKedy, P.C., our Colorado Springs attorneys are highly skilled and experienced at defending our clients against identity theft charges. As former prosecutors, we have a deep understanding of how the prosecution builds and presents these cases. This empowers us to effectively, strategically craft and present identity theft defense cases and set them up for the best outcome possible. Provide the highest quality defense representation while we work relentlessly to minimize the negative impacts and achieve the best possible results. Have You or a Loved One Been Accused of Identity Theft? We are available 24/7 to answer your questions, assuage your concerns and provide you with the highest quality defense representation. We can discuss your case over the phone or during an in-person meeting at jail or our Colorado Springs office. Are Colorado Identity Theft Charges Misdemeanors or Felonies? What Are the Penalties Upon Conviction? 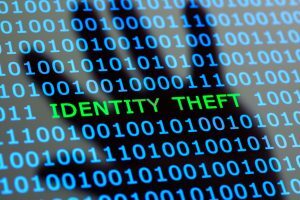 When identity theft charges are filed, they are commonly filed along with other criminal charges, like forgery and theft, which can come with additional penalties. What Makes Identity Theft a Federal Offense? How Can I Defend Myself against Identity Theft Charges? Identity theft involving mail or wire fraud and/or conspiracies to sell financial devices or identifying information on the black market. Was the subject of police misconduct and/or was subjected to illegal search and seizure. Vigorously defend you while helping you navigate the criminal justice system. You will have the strongest possible defense. We will fight for you at every phase of your case. We will never accept an unfair outcome. We will work tirelessly to bring your case to the best resolution possible. We fully understand that your case is likely the most important thing in your life, and we will handle it with the highest level of professionalism, expertise, diligence and care. Our record of superior representation, excellence and success in various criminal defense cases has earned us many professional honors, 5-star reviews on Facebook and Google, and the respect of colleagues, local judges and prosecutors.